ON JUNE 25, 2014 THE SULLIVAN COUNTY GRAND JURY INDICTED LAFLAMME ON ONE COUNT OF ROBBERY BY USE OF PHYSICAL FORCE ON ANOTHER. ON SEPTEMBER 18, 2014 LAFLAMME PLEAD GUILTY IN SULLIVAN COUNTY SUPERIOR COURT TO ROBBERY BY USE OF PHYSICAL FORCE ON ANOTHER AND AS PART OF HIS SENTENCE WAS PLACED ON PROBATION. ON MARCH 3, 2019 THE NEW HAMPSHIRE PROBATION DEPARTMENT FILED A VIOLATION OF PROBATION IN THE SULLIVAN COUNTY SUPERIOR COURT ALLEGING THAT LAFLAMME HAD VIOLATED THE TERMS AND CONDITIONS OF HIS PROBATION. ON APRIL 1, 2019 THE SULLIVAN COUNTY SUPERIOR COURT ISSUED A WARRANT FOR THE ARREST OF LAFLAMME FOR VIOLATING THE TERMS AND CONDITIONS OF HIS PROBATION. This entry was posted in Uncategorized on April 7, 2019 by GrowingInArt. 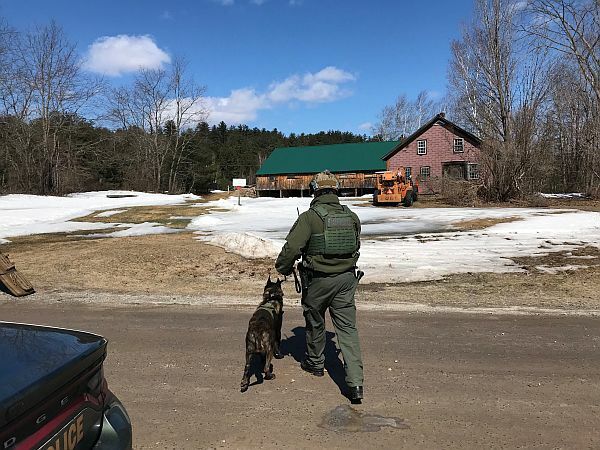 Alexandria NH – On April 4th at approximately 6:19am, the NH State Police received the report of an armed home invasion that occurred at a single family home located on Lynn Ave in the town of Alexandria. The home owner described what was believed to be a male and female wearing ski masks and one armed with a handgun. The suspects left the residence with an undetermined amount of money. The suspects fled the scene foot. A short time later the State Police received the report of a motor vehicle collision also located on Lynn Ave. When a local resident went to check on the occupants, they found that the occupants had fled, abandoning 2001 Lexus IS300. State Police deployed a K-9 and conducted a track for the suspects. The K-9 lead to a nearby unoccupied building. The K-9 was deployed into the building one of the suspects exited the building after being bitten by the K-9. Jessica Evans 23, was taken into custody, and treated for a dog bite. Evans and Gedney are currently being charged with Robbery. They are currently being processed for that crime and will be arraigned in Grafton Superior Court. The NH State Police were assisted by the Alexandria, Bristol and New Hampton Police Departments. This entry was posted in Uncategorized on April 4, 2019 by GrowingInArt. 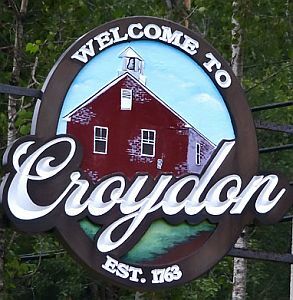 clarifying the vote at Croydon’s March 16th Town Meeting. value for your limited tax dollars. Claremont NH – On March 30, 2019, the Claremont Police Department received a report of a Robbery. The reporting party told patrol officers that, while he was visiting a friend the previous night on Green Street, two male subjects wearing bandanas forced their way into the residence, physically subdued him, and stole several items from him including cash, prescription medications, and his cellular phone. subjects were arrested Jeremia Kemp 19 of Claremont, Michael Wood 20 of Newport, and Rachel D’Agostino 22 of Claremont. Kemp is charged with one felony count of Robbery, one felony count of Conspiracy to Commit Robbery, one felony count of Falsifying Physical evidence, and two felony counts of Possession of Controlled Drugs. 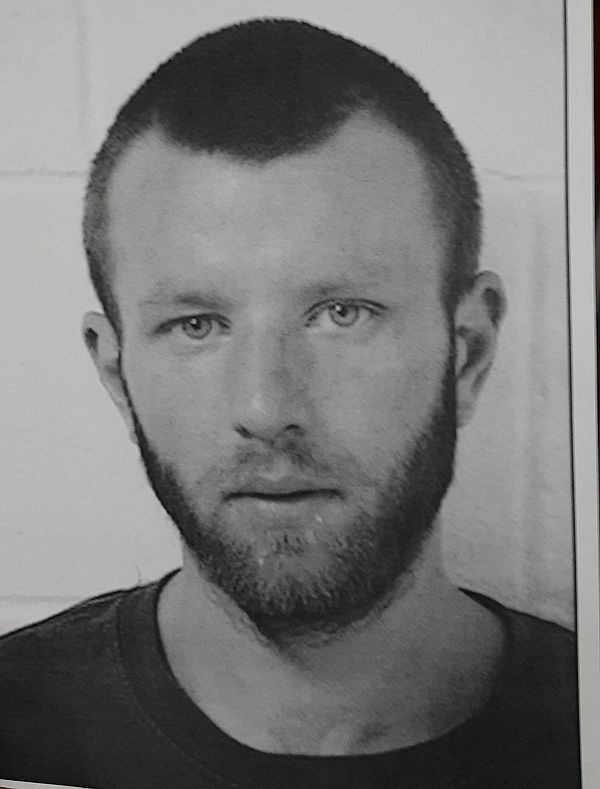 He was held without bail at the Sullivan County House of Corrections pending his arraignment in Sullivan Superior Court on April 3, 2019. Wood is charged with one felony count of Robbery, one felony count of Conspiracy to Commit Robbery, one felony count of Witness Tampering, and two felony counts of Possession of Controlled Drugs. He was also held without bail at the Sullivan County House of Corrections pending his arraignment in Sullivan Superior Court on April 3, 2019.
released on bail pending her arraignment in Sullivan Superior Court on April 18, 2019. Piehl at (603)542-7010 or e-mail cpiehl@claremontnh.com. This entry was posted in Uncategorized on April 3, 2019 by GrowingInArt. NEW LONDON, N.H. – The graduate outcomes report for the Colby-Sawyer College Class of 2018 indicates that six months after graduation, 99 percent of the graduates are employed (94 percent) and/or pursuing graduate studies (11 percent), with some overlap in the categories. Twenty of the 28 nursing majors are employed at Dartmouth-Hitchcock Medical Center (DHMC), which considers Colby-Sawyer its nursing school. Colby-Sawyer students complete their clinical rotations at DHMC, receive first consideration for paid summer nursing externships after junior year, and are given priority placement in senior practicum immersion learning experiences. In 2018, 100 percent of Colby-Sawyer’s 2018 undergraduate nursing class passed the National Council Licensure Examination for Registered Nurses (NCLEX-RN) on their first attempt for the third straight year. Colby-Sawyer’s nursing program is ranked #1 in the state of New Hampshire by RegisteredNursing.org. This entry was posted in Uncategorized on April 2, 2019 by GrowingInArt. 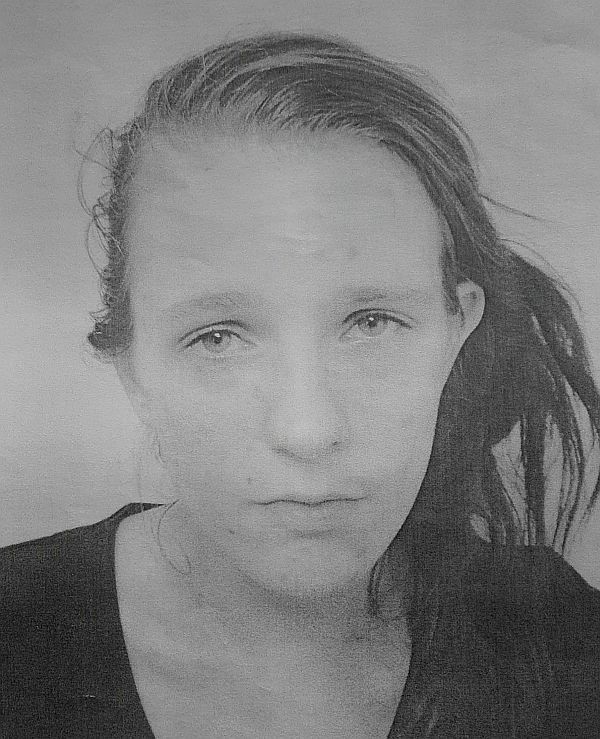 BALLOU is described as being a white female, 5’1” tall, weighing 145 pounds, and was last seen wearing a red and blue sweatshirt. She is believed to be suffering from dementia. BALLOU was last seen on March 31, 2019 at approximately 1030 hours, leaving her residence in the town of Salisbury. She is believed to have been in the Salisbury/ Webster/ Boscawen area, specifically in the area of Walker Pond. BALLOU is believed to be driving a gray 2015 Chevy Cruze, with a NH license plate of 442 9557. The vehicle is believed to have a cracked passenger side rear tail light. It may also have a “Bensons Auto” sticker on the rear end, and possibly has stuffed animals displayed in the rear window. BALLOU was also last seen with her dog, a white and brown Chihuahua named Cooper. If contact is made, or anyone has information regarding the whereabouts of BALLOU, please contact the NH State Police at (603)223-4381. This entry was posted in Uncategorized on April 1, 2019 by GrowingInArt. 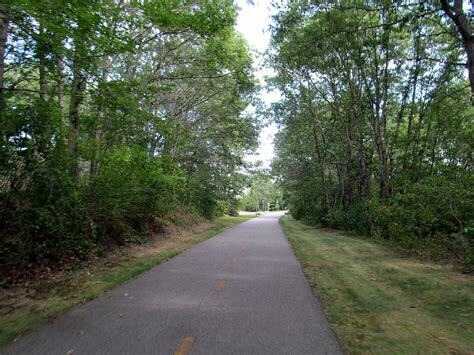 Concord NH – The New Hampshire Department of Transportation (NHDOT) is seeking public input on the future of walking and bicycling in the Granite State and is asking the public to help to shape a Statewide Pedestrian and Bicycle Transportation Plan. The Plan will provide direction on expanding access and safety for pedestrian and bicycle use of the State’s transportation network and consider the economic benefits of pedestrian and bicycle access. Newport, NH – Next fall, Newport students will start their school year with a new leader at the helm. Dr. Cindy Gallagher, Superintendent of the Newport’s SAU 43 since 2015 and employee of Newport since 2007, has informed the Board that her last day as Newport Superintendent will be the final day of the current school year, June 30, 2019. “Besides caring deeply for students, Dr. Gallagher has been a diligent advocate for developing business partnerships for our school as well as leading the transformation of our schools toward a competency-based model. Under Dr. Gallagher’s leadership, Newport Schools were pleased to be chosen to part of the second year of the New Hampshire Department of Education’s PACE initiative,” states School Board Chairperson, Linda Wadensten. We will immediately begin our search for a Superintendent who will continue working toward these Board goals. The Newport School Board is grateful for her years of service in our community and wishes her well in her new endeavors. ON SEPTEMBER 19, 2018 BREED WAS INDICTED BY THE SULLIVAN COUNTY GRAND JURY ON ONE COUNT OF POSSESSION OF A CONTROLLED DRUG, COCAINE AND ONE COUNT OF BAIL JUMPING. ON NOVEMBER 7, 2018 BREED PLEAD GUILTY IN SULLIVAN COUNTY SUPERIOR COURT TO ONE COUNT OF POSSESSION OF A CONTROLLED DRUG, COCAINE AND ONE COUNT OF BAIL JUMPING. AS PART OF HER SENTENCE BREED WAS PLACED ON PROBATION. ON DECEMBER 06, 2018 THE NEW HAMPSHIRE PROBATION DEPARTMENT FILED A VIOLATION OF PROBATION WITH THE SULLIVAN COUNTY SUPERIOR COURT ALLEGING THAT BREED HAD VIOLATED THE TERMS AND CONDITIONS OF HER PROBATION. ON DECEMBER 20, 2018 THE SULLIVAN COUNTY SUPERIOR COURT ISSSUED A WARRANT FOR THE ARREST OF BREED FOR VIOLATION OF PROBATION. This entry was posted in Uncategorized on March 31, 2019 by GrowingInArt.